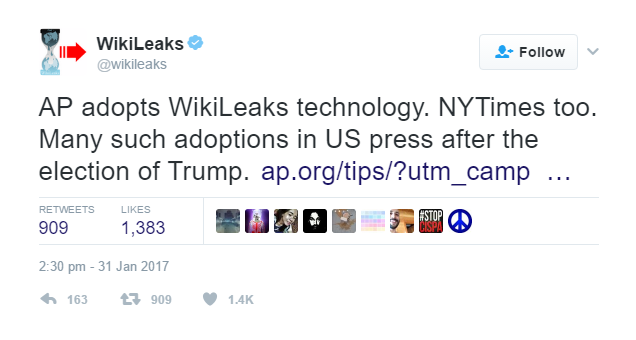 Last week, WikiLeaks tweeted that the Associated Press and other press organisations had adopted “WikiLeaks technology” in adopting SecureDrop, a whistle-blower submission program developed by U.S. “hacktivist” and transparency advocate, the late Aaron Swartz. 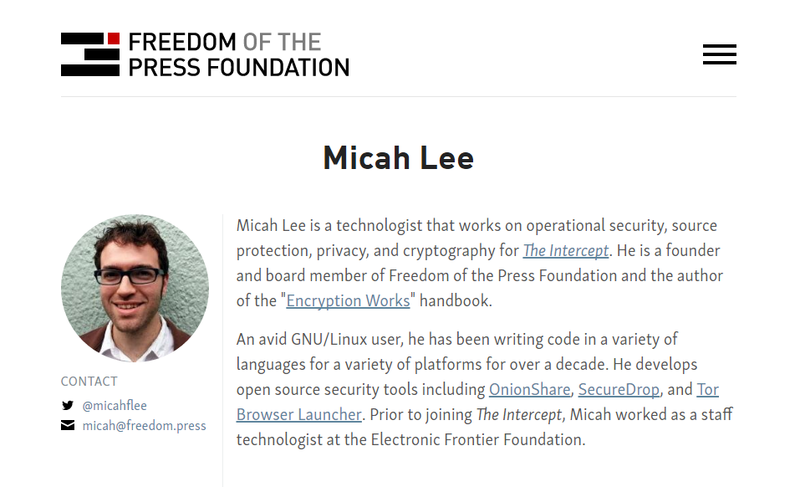 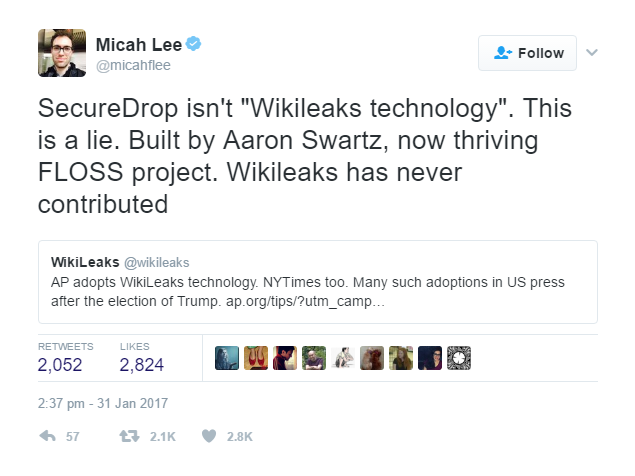 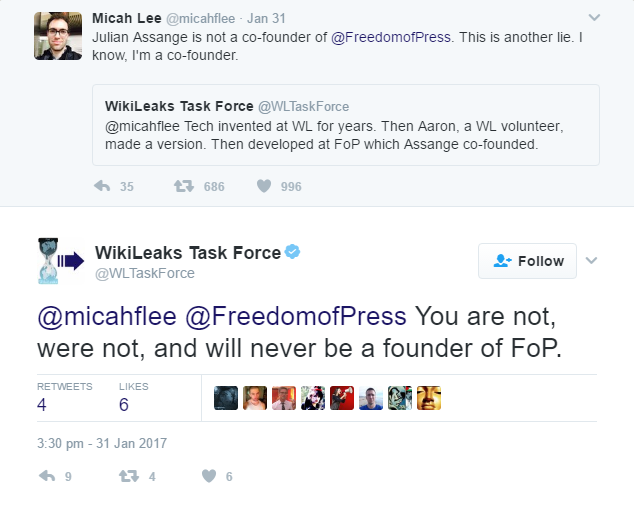 In response, Freedom of the Press Foundation (FPF) co-founder Micah Lee tweeted that Wikileaks’ claim re: SecureDrop was “a lie” and that it had “never contributed” to the program’s development. 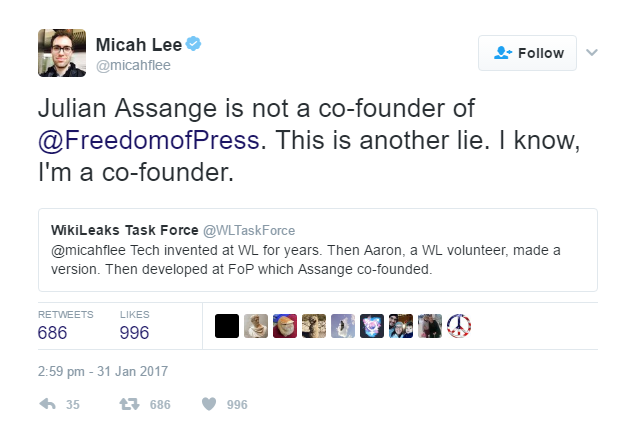 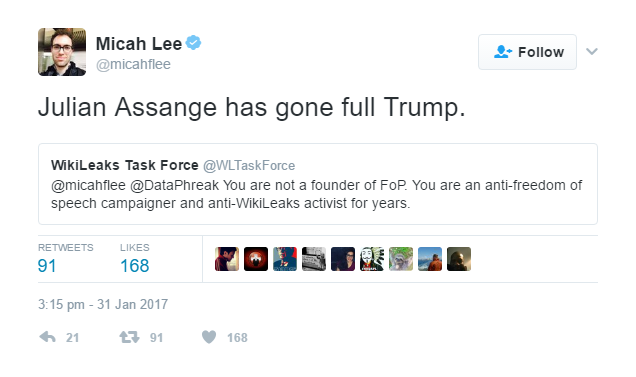 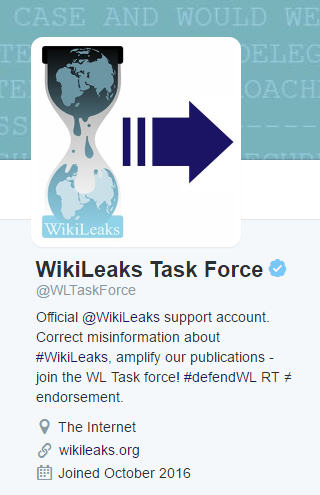 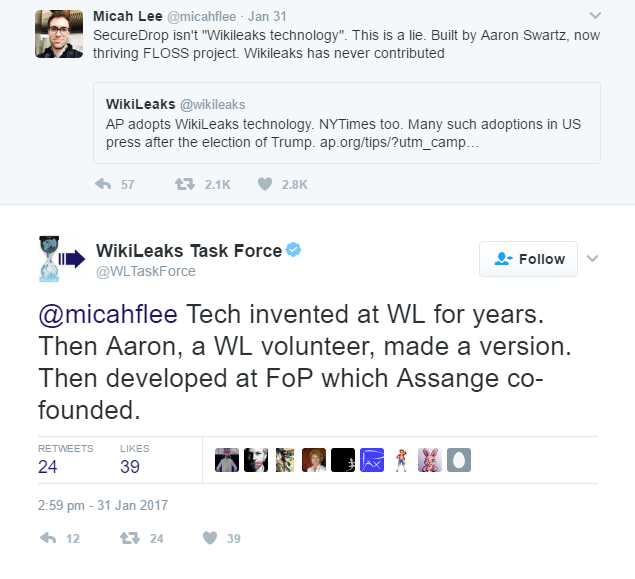 This was followed by a heated exchange between Lee and the WikiLeaks Task Force, an official WikiLeaks account set up in October 2016 to “correct misinformation” about its namesake organisation. 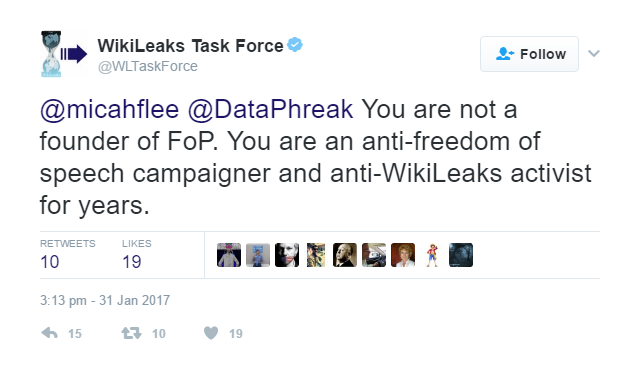 As covered on this blog, the WikiLeaks Task Force recently began threatening legal action against Twitter users, including journalists, who criticise WikiLeaks and Assange.